Sprint HTC One owners in the United States should be getting notifications anytime soon following the carrier's announcement that they have already rolled out Android 4.4 KitKat. Posted on January 31st, a thread 'HTC One Software Update - 4.06.651.4 (Android KitKat)' provides basic information of the update to users. 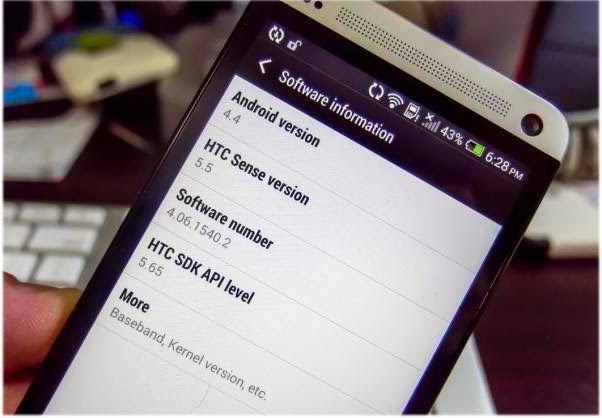 Sprint HTC One shows the latest Android 4.4 KitKat update with HTC Sense 5.5. As of this writing, there were just a few Sprint subscribers who reported to have successfully pulled down the update and those who might be waiting to get notifications should not expect one because it is a customer-initiated request for now. Meaning, you would need to have your phone find the update by going to Settings >> About phone and have it search for it. Network initiated roll out would commence on February 11th by batches. It has already been like this ever since to minimize stress on the servers. But the good news is the update is coming in a couple of weeks. The update will be a transition from Android Jelly Bean and Google prides itself saying KitKat brings tons of bug fixes and enhancements and focuses on making its operating system faster and more responsive not to mention all-new cool features. HTC, on the other hand, also updated their proprietary skin, Sense UI, pushing it to version 5.5. Basically, there will be noticeable performance improvements on top of new and better interface. If you can't wait for Sprint to tell you about the update, then initiate search now.